Chips, stains, cavities, misalignments, even gaps – there are all kinds of problems that can affect your precious pearly whites. 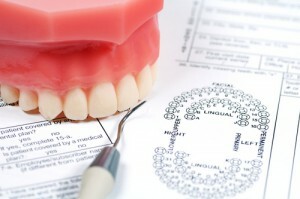 Thankfully, these conditions can be all remedied with the help of various restorative dentistry techniques. But what should you do if you find yourself faced with several of them at once? For patients who haven’t been to the dentist in a while, it can be overwhelming and a little scary to realize that you’re in need of multiple dental procedures. Which one should you schedule first? Are some problems worse than others? Is there any way to schedule some services together in one appointment so as to save you time? Thankfully, here at Horsham Dental Elements, Dr. Henkel has the answer to all these questions and more with the help of a full-mouth reconstruction plan. Our staff is committed to providing personalized, thorough care to all of our patients, no matter how complex or lengthy. However, undergoing full-mouth reconstruction at either our Horsham or Philadelphia location can make your restorative dental treatment much simpler and concise, saving you precious time and money. When undergoing full-mouth reconstruction, you’ll first attend a thorough evaluation with Dr. Henkel, who will investigate the depth and scope of your dental problems. Then, he you and he will formulate a streamlined plan of action concerning your treatments, taking into account any specific needs or desires you have for your new look. And don’t worry about wasted time – we’ll do everything in our power to combine treatments into as few appointments as possible.